The FedDev Ontario Business Scale-up and Productivity (BSP) program offsets upfront project costs and helps Southern Ontario businesses grow more quickly. It provides no-interest repayable contributions (government loans) with repayment beginning within a year of project completion. This supports businesses as they adopt or adapt technologies, then repay the cost of equipment over a period of time where it’s helping to generate additional revenues. The Business Scale-up and Productivity Program provides Southern Ontario business expansion loans of up to 35% of project costs to a maximum $10 million. To apply for BSP funding, eligible applicants must develop and submit a comprehensive application package that consists of the program’s main application form, financial statements for the last two full years of operation, and the most recent interim financial statement available. All projects must be complete by the program’s end date of December 31, 2023. What is the FedDev Ontario Business Scale-up and Productivity Program? FedDev Ontario’s Business Scale-up and Productivity (BSP) program was created to help businesses adopt, adapt, and commercialize innovative technologies that have a significant impact on productivity. The equipment funding incentive places a direct focus on using technology to grow Southern Ontario businesses so that they can compete more effectively with international firms. Launched in December 2018, the program replaces Investing in Business Growth and Productivity (IBGP), a popular program that also provided funding towards purchasing integrating advanced technologies. BSP funding is similar to IBGP funding, but with some unique differences in its funding contribution, eligible applicants, and project focus. Southern Ontario companies can access up to $10 million in business expansion loans through the Business Scale-up and Productivity program. If accepted into the program, applicants can receive funding to directly offset incurred project costs. Companies access funding by reporting approved project expenses, then receive a contribution of up to 35% of those costs. Funding is provided to companies throughout the project and must be repaid once the project is complete. Generally, applicants can begin repayment up to one year after the completion of their project. Have market or industry demand to support new technology/business expansion. Increasing business management capacity by building high-performance teams, adopting best management practices, processes, and systems. Please Note: Technology development, demonstration, and commercialization activities must fall within a technology readiness level (TRL) of 7-9. Southern Ontario businesses can apply for the Business Scale-up and Productivity program throughout the year; unlike other Ontario government funding programs, there are no application deadlines to be aware of. Instead, companies should submit their application in relation to their project start date. Applicants must submit an application package prior to incurring eligible project expenses. Applications are generally assessed based on the applicant’s overall eligibility and ability to deliver project-related impacts such as increased domestic and foreign sales, development or licensing of intellectual property, and job creation. 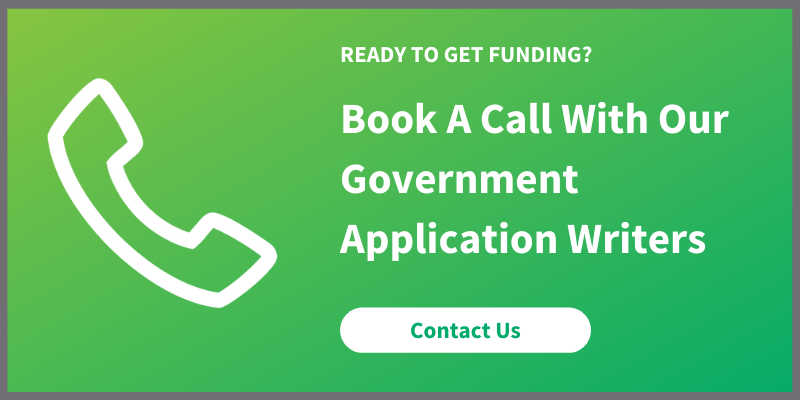 Ready to get started with government funding? Contact Mentor Works to discuss your eligibility for the Business Scale-up and Productivity program and learn how to optimize its application process. Posted: December 5, 2018. Updated: April 3, 2019.